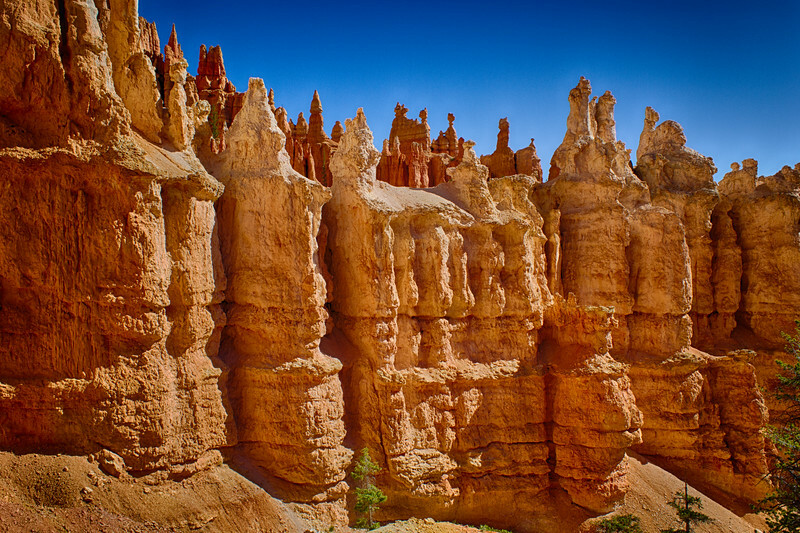 With its colorful "hoodoos", and some great trails through them, Bryce Canyon is a great place to visit and photograph. Up close, the hoodoos show off fantastic fairyland shapes and forms. And, they're big...that's about 40 feet of pine tree in bottom center.